Are you a skilled multilingual person looking to make money online? The Internet has created a great opportunity to work from home using your language skills. Online translation jobs are the gift to people who can read, write and speak multiple languages. Whether you’re looking for a simple document translation work or looking for a professional language tutor job, this article will help you to find the right job to turn your language skills into money. Learn how to find online translation jobs and interpreter work to make money from home. Online translation jobs are one of the best online jobs to make income translating languages. Speaking about translation, it is the process of converting a source from one language to another language. Translation jobs are very reliable compared to some of the simplest MMO programs like paid to click, data entry work etc. Established translators are making more than $10 per hour working on language-based projects. Translators should have good grammatical knowledge in both the languages they are going work on. Even if there are many free translation tools like Google translator on the internet, the clients prefer human translators for accurate results. So, only the skilled translators will get high chances to work for those clients. Be advised that English is the international language and most of the translation jobs will be translating from English to another language or vice versa. Apart from English, projects are posted based on Asian languages like Chinese, Korean, Hindi, Russian, Sanskrit, Thai, Japanese, Tamil. Similarly, jobs are posted based on western languages like Spanish, French, Portuguese and Dutch. Not all translation works are the same. While the basic process involves tranlating some source one language to another language, each translation job will have different intent. Here are some of the most common online translation jobs available for the translators. This is the most common type of translation work. Here the translators will be given with text-based documents and asked to convert the document to another language. Here are some of the examples of text translation projects – Translating blog posts, eBooks, emails, articles, word documents, account files, written documents etc. Most of the translation work related to the document translation will be in pay per word basis. That is the translators will be paid for each word they translate. The pay per word will vary based on the languages which can vary from $0.01 to $0.20. So, calculating a text document that contains 1000 words translated from one language to another language the translators will get $1 to $20. In the case of text translation work, the translators can take hours to days to submit the project completion details based on the clients’ requirements. So, working time will not be a concern. Freelance translators can work from home or anywhere at their own convenient timing. People who know two languages plus got some interpretation skills can do freelance interpretation work. In this process of translation work, the bilingual handler should hear a person speaking in one language and explain the other person in another language. This job is available on MNC companies and intercontinental organizations. But in this case, since this is an online translation job, the translator should find online job opportunities listed in the freelance sites below. Bilingual call centers, virtual assistant jobs, video conferencing assistance jobs are some of the best online sources for interpretation work. Unlike text translation, the interpretation work is mostly real-time and there should be no glitch in the process. So, only the skilled and experienced interpreters are mostly hired. This is one of the highest paying money making programs of all. Skilled interpreters earn more than $30/hr which is a good income to make a living. The language teaching work is one of the best jobs tutors looking for work from home virtual teaching online work. The language tutors will know more than one language, they will assist the students to learn a new language. The tutor must have a good translation skill to teach language(s) spontaneously. Language tutors earn $20 per session which might last up to an hour. Online tutoring is one of the most convincing work to earn money from home in part-time. Here we might not discuss in detail about tutoring. If you’re interested to earn money by teaching languages refer online language teaching jobs. This work is almost similar to language tutoring. The difference is the mode of delivering knowledge to the language learners and translators. In the case of selling online courses, there are two ways the person can use their bilingual skills. The first one is creating an online course to teach language and the second one is to teach how to become a successful freelancer using the translation skills. Selling online courses is one of the profitable online business of all. It takes little bit initial hard work to launch the online course but once the course creation process is complete, it will generate a huge amount of money. People sell potential online courses for more than $50. Unlike virtual teaching, which can be either one on one tutoring per session or limited video conferencing, a single course can be sold to hundreds of students. Launching an online course is an art. If you’re interested in launching translation based online courses, here is the step by step guide to learn how to make money selling online courses. Transcription is the process of converting the audio to text. In simple, transcriptors hear the recorded audio, live speech and write it down in the paper or create a digital word document. This can be in the same language or different languages. Transcription projects will have an audio file in one language that has to be translated to another language in written form. Online transcription is a potential online job to work from home. Especially the medical and legal transcriptors earn more than $100. If you’re a transcriptor it’s recommended to look for online transcription jobs. The basic requirement is language skills. You must able to read, write, listen and speak two languages fluently. Since most of the translation jobs need the English language, it’s one of the important requirement in translation sites. In the case of interpretation work, you must be able to work in a quiet environment without interruptions. You must have a PC or Laptop to work. Few sites allow to work using their mobile apps. There are different sources available to find online translation jobs based on the type of translation work. In the case of tutoring and transcription, the instructions are given above. 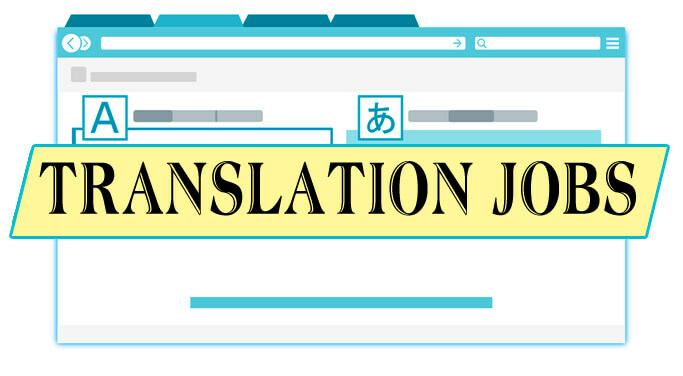 Find the list of sites to find online translation jobs below. Tranlate.com is the best translation website to find the simplest translation works like translating the articles, support tickets, emails, blog posts, social media posts and more. In simple, the work will be translating the text from one language to another language. Translators who are looking for easier translation work to earn money should try translate.com. Translate.com offers competitive compensation for completing the translation tasks. Their platform offers work on first come first serve basis. Get into the site, complete as many jobs as you can to earn more money. Work anytime, anywhere, and using any device. Currently, tranlate.com supports over 40 languages. The new translators should take a translation test in order to become a paid translator on translate.com. Once you’re in, earn money and cashout your earnings directly to your PayPal account. Translate.com hires translators from all the countries in the world. ClickWorker is the website to earn money by completing microtasks. The tasks will be small, simple which can be easily completed within minutes. Translation tasks are posted in large numbers by the employers on ClickWorker. Earn from a cent to few dollars completing translation tasks on ClickWorker. The ClickWorker does not have any restrictions to join their site. However, the few tasks can be accessed only after completing the assessments. So, it is recommended to complete the assessments related to translation in order to gain access to the potential translation tasks. Apart from translation tasks, you can complete various other tasks like data entry, data processing, image annotations to earn money on ClickWorker. So, to unlock maximum earning potential using translation skills and to work on tasks other than translation, ClickWorker would be the best option. The Text Master is one of the elite translation sites where translator’s skills are valued more. Earn money on Text master translating documents, copywriting, proofreading and more. Text Master pays the highest rate for completing translation projects. Find the high paying project, accept the jobs and complete to earn money. To work on Text Master, you will have to create an account, specify your skills and areas of interest. Text Master will review the application and approve if it fits their requirements. Once approved, you are free to work on the translation and copywriting work that suit you based on the availability and preferences. Get paid as soon as you submit the project. Translators can use PayPal or Payoneer to get paid for the invoices. Apart from earning money on Text Master, translators get a chance to work with a great community of members. Rev is the best place to work from home with potential customers. To join Rev, you must be anyone one of these translator, transcriptionist, captioner or subtitler. If you’ve got skills, then you can apply for the job explaining how you will be able to deliver the best services to their customers. Rev might take some time to verify and accept the application. 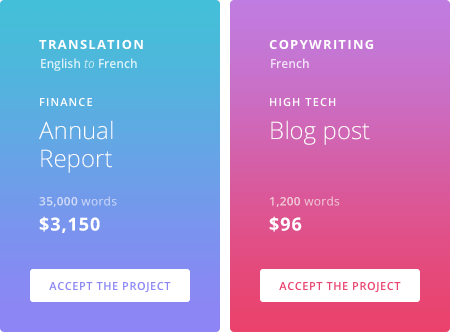 Once the onboarding process is complete you can work on their projects to earn $0.05 to $0.08 per word for translation. Their subtitling tasks pay up to $3 per minute video. Rev is simple and beginner friendly. Join Rev choose your own projects to work, comeplete the work and get paid via PayPal every week. Rev is a great site for work from home moms and freelancers. The One Hour Translation is one of the oldest translation website started on 2008. Join as a translaor on One Hour Translation, to earn money using your language skills and expertise. To work on this site, you must take an online exam. The exam will be reviewed by one of their staffs. After the review receive the certification to start working on their projects. Initially, complete the small projects to receive ratings from the clients. Then start to work on their big projects to make more money. Work from wherever you wish using their translation tools. Translator get paid directly Master card anywhere from the world. Get funds immediately, no bank account needed, pay anywhere directly using the card. These are the sites where you can work as a professional freelancer and offer your translation services setting your own price. Have full freedom, working at own time and working on your own terms on freelance translation sites. Gengo is the freelance site created specially for connecting the freelance translators and clients. Their platform enables the translators to pick and choose thousands of projects posted every day. At the same time, get hired directly under a client as a professional tranlator setting your own price. It is estimated that the translators earn $450 on average for English and $560 for French translation. The average varies based on the languges the translators chooses to work. Their latest technology helps the both the beginners and professionals to work on a PC, Laptop, Tablet or smartphone. New users should complete their two part tests to get approved. Once approved, they can start working on projects. Translators are advised to use their guides to familiarize in order to pass the pro qualification tests. Pro translators can unlock access to more challenging tasks to earn high rewards. The minimum payout is $50. You can use PayPal or Payoneer to withdraw your earnings once a month. If you wish to work as a private business and to find interpretation work, check out how to start your own freelance business as a translator. If you like to become a full time or part time employee of tranlation companies, here are few mentionable sites. Aberdeen is a growing company likes to work with professional translators with good experience. They are looking for employees who can work on tranlating subtitles, giving subtitles to videos & software and translation for voice overs. To apply for a job on Aberdeen, the translators must have a university degree, preferably in translation or language. A minimum of 5 years experience. Plus native in target language and fluent in the source language. Apart from translator, Aberdeen is hiring for 7 more positions including captioner, transcriber and quality tester. Get a translator job on Lion Bridge as a freelancer or representing a translation agency. Apply as a freelancer or agency on Lion Bridge by submitting the CV. In the post process, the applier should compelte a form that might take up to 15 minutes depending on the area of expertise. Get approved and start earning money on Lion Bridge. Indeed.com is the world’s largest job searching platform. If you’re looking for part time translation jobs, join Indeed or some other local job boards to find the jobs posted by the employers. Apply for the translation jobs, if you feel the job fits your profile. Get hired, work from home or in the workplace and get paid under their terms. The Micro job sites are the best source to find the translation jobs. The tasks posted on micro jobs are so simple and beginner friendly. Micro job sites are recomended to all the users. Earn few cents to a dollar by translating documents, audio and other apps. Micro jobs sites mostly don’t have any on boarding process. Get paid through PayPal, Check, Skrill, etc. or redeem the cash for Amazon gift cards and other major brands. Hope you’ve got an idea about translation jobs and related tasks to earn money working from home.